Here's a coupon that is good for saving 50% off a $3 spend at my personal store. Good for 5 uses! Today only! I just wanted to say thank you to EVERYONE who left comments about the daily download. I truly appreciate your comments and thank you so much for taking the time to share your words of thanks and encouragement. I have a coupon for you today! Save $2 off a $4 spend at my personal store today only! Good for the first three people only! Just use coupon code: wdjcd25off to save 25% on my Winter's Day Collection at any of my stores! And don't forget about the Lost and Found Weekend sale at Funky Playground Designs! Today is the last day to pick up my goodies on sale! And don't forget about the Lost and Found Weekend sale at Funky Playground Designs! Wow - it's one week til Christmas Day! Eeek! Today is the start of Funky Playground Designs Lost and Found Weekend! Tons of goodies for just $2! Here's a direct link to my Funky Playground Designs store - where everything is on sale for 25% off - or is $2! Today is Fantabulous Friday at My Life and Scrap! I have a bunch of goodies on sale for 50% off! Be sure to check out everything that is on sale right here. $1 Deal! Daily Download Day 16 and some Inspiration! 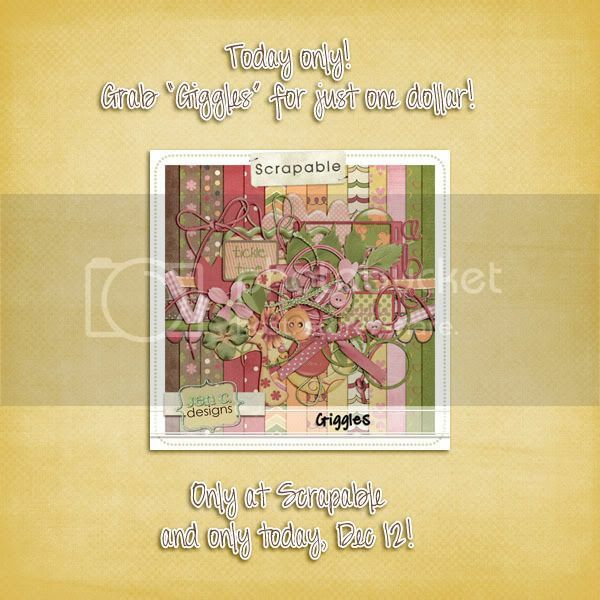 The 12 Days of Dollar Deals continues today at Scrapable! 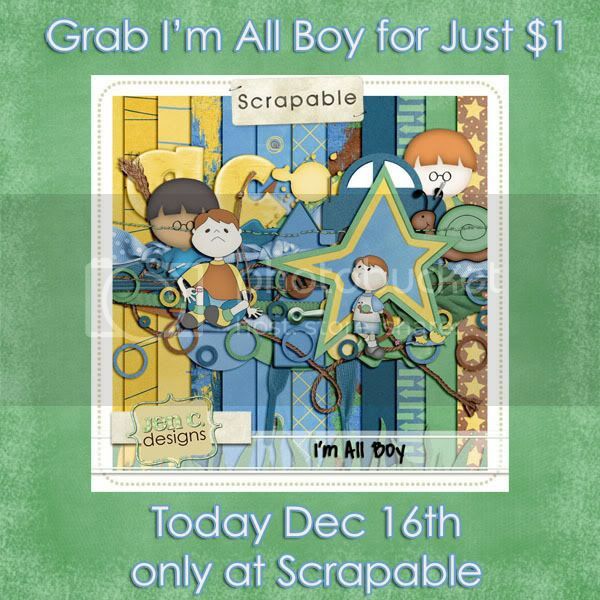 And today I have I'm All Boy on sale at Scrapable for just $1 :) I figure I had to balance it out given I had a girlie kit on sale before :) You can click on the ad to be taken to the kit. It's $1 - today only! and you can use this coupon to save an extra 25% off the whole collection! at any of my stores! Talk about savings! My new collection "Winter's Day" is now available in stores! It is a big kit full of all sorts of goodies! 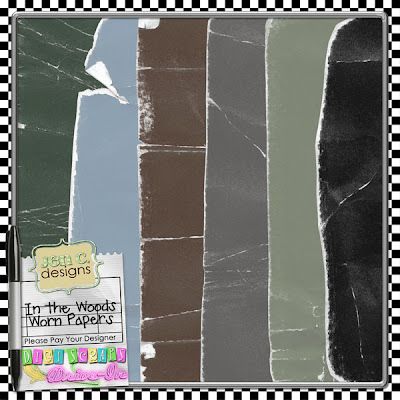 There's a kit, an add-on kit, add-on alphas, worn papers and templates! So be sure to grab it all at a HUGE discount from now to Dec 21! Hope you are all having a wonderful December! I'll be contacting you shortly with your coupon! Stay tuned tomorrow for a big coupon for you! Wow! Fourteen days so far! Have you picked up all your pieces? 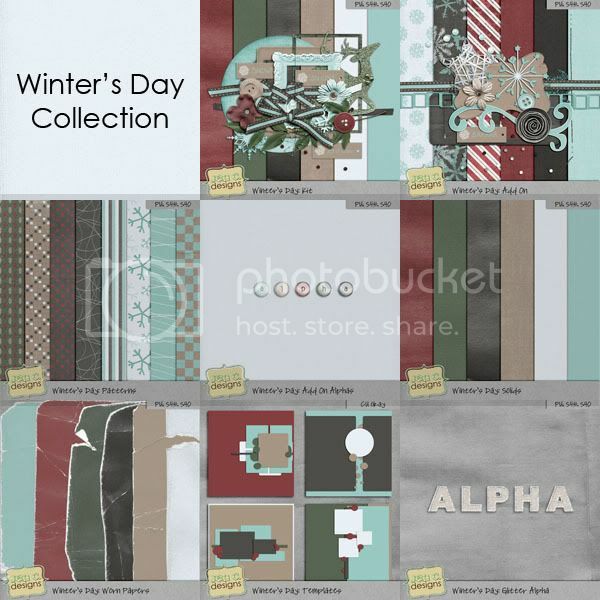 Scrapable is continuing it's 12 days of Holidays with 12 days of dollar deals! And today it's my turn! Yes - for today only - you can pick up Giggles for just $1! Enjoy! Have a wonderful Sunday! Sorry I'm a little late for today's piece! I have a new collection coming out next week - and you get a chance to win it! I will be giving away one copy here on my blog, one copy at DSA and one copy at DST - so be sure to enter all three ways! Also - you can have bonus entries - tweet about this giveaway, blog about it, facebook about it, sign up for my newsletter, following me on twitter @jencdesigns, follow my blog - and post separate comments here for each extra way you're entering. 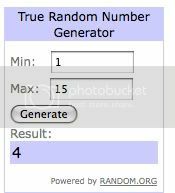 I'll choose a winner next Tuesday night at 9pm EST. 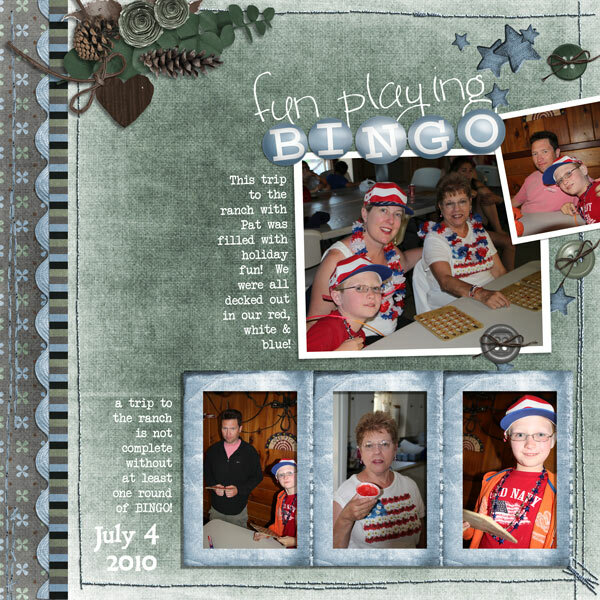 One of my amazingly talented creative team members, Amy, has created hybrid printables for you from my "It's Christmas Time" kit! And she's put together the printables for you - super easy to use! 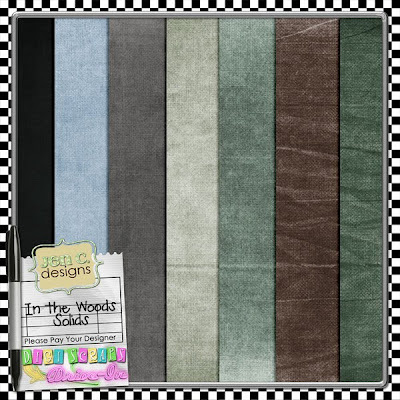 So head over to her blog right here and grab her freebie! And be sure to leave some thanks! Have you joined in this month's DSO Color Challenge? You'll get this amazing participation bonus for playing along! 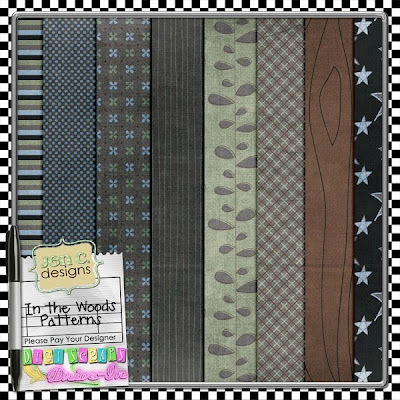 Inspired by a walk in the woods on a cold winter's night, In the Woods is a rustic kit with a masculine feel that is still versatile enough to work with any photos! 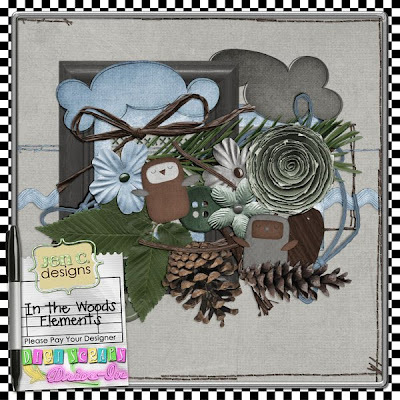 This kit includes 9 patterned papers, 7 solid papers, 6 worn papers and 37 elements including buttons, clouds, flowers, frames, leaves, owls, pinecones, raffia, ribbons, stitching and more. You can pick it up at any of my stores where it (and everything else in my stores) is 25% off all month long! at any of my stores! 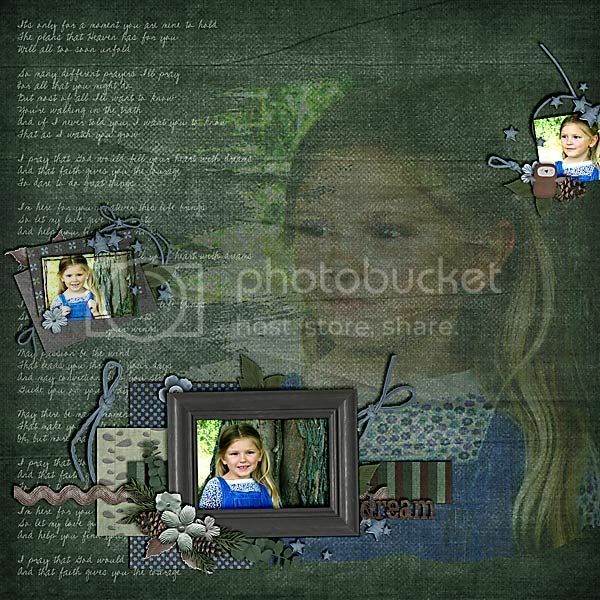 She created these with the kit, It's Christmas Time, available at Funky Playground Designs all month long. on a $5 spend at any of my stores! Mediafire isn't cooperating for me today - so I will update the link tomorrow I hope! Don't forget - after the weekend, the $1 deals for the DSDI Soda Shoppe Color Pop will be over! So be sure to pick them up now! Soda Shoppe Color Pop, Daily Download #3 + Freebies! Hi everyone! Hope you're all doing well! Sorry for the long winded title - I should've probably said "just read this" - lol! DSDI is having a December 10-10-10 event from December 1-10! 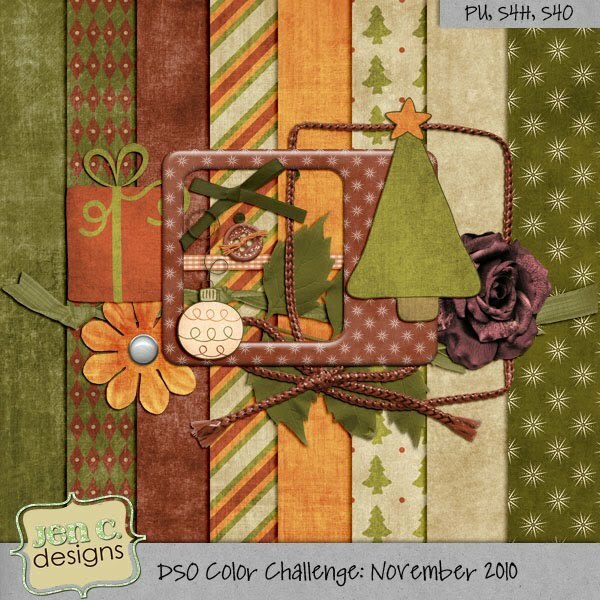 All the details for the December Color Challenge can be found here.